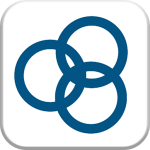 This App was developed by the University of NSW, to provide information and support for carers in their role of caring for persons with behavioural changes that can occur in dementia. It includes scenarios and support for behaviours most commonly reported by carers of people living with dementia, including safety, carer support and carers’ stories and helpful strategies. 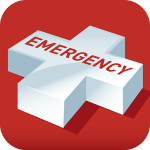 Excellent Australian based emergency app that has direct buttons to various emergency services, helping people to call the right number at the right time, anywhere in Australia. The app uses a mobile phone's GPS functionality so callers can provide emergency call-takers with their location information as determined by their smart phone. ‘Emergency+’ also includes SES and Police Assistance Line numbers as options, so non-emergency calls are made to the most appropriate number. Save the App that could save your life! Winner of the 2015 most accessible app as judged by the Australian Communications Consumer Action Network (ACCAN). 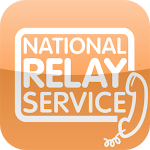 The National Relay Service (NRS) is for any Australian who is deaf, hearing impaired or speech impaired who wants to make phone calls. The app provides easier ways to make calls through the NRS in Australia. captioned relay – if you can speak but can’t hear clearly. The app is a world-first in combining a range of relay calls and support functions in a single app. Prepare yourself and your home for a bush fire in NSW by completing your Bush Fire Survival Plan now. Your Plan can help stop you from making rushed and dangerous decisions at the last moment and provides information on how to better prepare for bush fire. 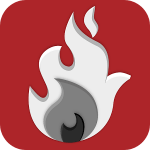 This application will guide you through the steps necessary to prepare your Bush Fire Survival Plan. 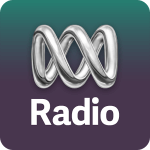 ABC Radio 92.5FM or 1233AM are the local emergency broadcasters in the event of an emergency. In case of a blackout you may be able to listen online to hear updates about your local area, from local broadcasters. MedicineList+ provides individuals, carers, families, doctors and nurses, with a comprehensive and easy to use medication reminder. It takes the stress out of managing your medicines and helps you stay on top of your own health as well as those in your care. YourLink is designed for older people to stay in touch with family, friends, services, organisations and local community. There is so much going on in your local community, wouldn't it be great if you could easily see what that was? And what about keeping in touch with the people who are important to you? There is now an easy way and you can do it all from your iPad. 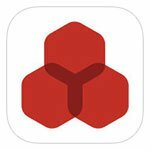 The free YourLink app is designed just for you, with information that is relevant, helpful and an easy to use design. For more information, visit the YourLink website.